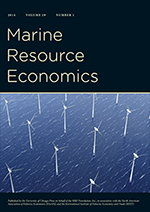 Economics offers 'an exceptionally powerful perspective for viewing environmental problems and a powerful set of analytical tools for designing and evaluating environmental policy' says Stavins. The first column is posted here. Thanks Rob. Following is the senators' letter to the Government Accountability Office. The Association of British Insurers plans to argue today that the world-wide cost of big storms will become more frequent because of climate change and is likely to rise by two thirds to £15 billion ($27.23 billion) a year in the next seven decades, the Financial Times reports. Nick Starling, the industry group's director of general insurance, will urge the leaders of the Group of Eight industrialized nations to take action on emissions of greenhouse gasses when they meet to discuss climate change next week. "Governments now have a chance to make rational choices for the future before it is too late," he will say, according to the FT. Making the right decisions based on assessment of the costs of climate change "will ensure lower costs for the public in [the] future." One interpretation of this development is that some private market participants are beginning to believe the climate change science. The insurers' recommendation is simply that government should regulate industry/consumers that produce greenhouse gas emissions because they believe the benefits of regulation exceed the costs to industry and consumers. When private market participants buy in, should government decision maker's, who preach the virtues of the market, buy in as well? With climate change high on the agenda at the forthcoming G8 summit in Scotland and climate legislation now being debated in Congress, four RFF experts share their views on life post-Kyoto in “Where do we go from here?” -- a just-published series of articles in Resources magazine, where they examine the business, international, and domestic angles of this contentious issue. To view these Resources articles, along with other RFF work on climate change, please visit www.rff.org/climatechangeafterkyoto. A nice example of using economics principles to answer the question " What happens if oil production 'peaks'?" can be found here. When the first national parks were established in western North America, they were “…oases of civilization in an ocean of wilderness.” Early park wardens built access roads; encouraged the construction of hotels, towns, and ski hills; undertook programs to move or eradicate; and even approved of the development of mines and dams. With this change in perception, the goal of the park system changed also, from one of encouraging human use to one of protecting natural spaces. But by this time, towns, hotels, ski hills, and backcountry hiking systems were all well established in the parks and managers were forced into a role for which most them were poorly-prepared: determining the appropriate use of parks’ scarce resources. Should ski hills be allowed to expand? Should hiking into the back country be encouraged or discouraged? Should trail riding be permitted in an area of wolf habitat? Etc. At first, managers attempted to use “scientific management” to resolve these issues. But it soon became apparent that although “science” might be able to identify the environmental impacts of human activity, it could never determine whether citizens considered the benefits of any environmental program to exceed the costs. The process was doomed to failure. The simple reason for this is that when interest groups are asked for their opinions about government policy, each group has an incentive (i) to put its own case as strongly as possible; and (ii) to do everything that it can to denigrate the positions of all other groups. The result is that the government comes away with nothing more than an exaggerated statement of “positions.” What it does not get is what it needs: a method of weighing the strength of any one position against that of the others. I experienced this failure first hand in the Banff-Bow Valley Study, a task force whose purpose was to identify techniques by which managers could identify the appropriate uses of Banff National Park, in western Canada. Central to this Study was a citizen Roundtable that consisted of representatives of twelve interest groups – including environmentalists, ski hill operators, alpine hikers, and the tourism industry. It met one weekend a month (two days each time) for over a year, during which time the participants were to put forward a set of goals that could be employed by park managers when making their decisions. But the result of this process was simply a list: the members of the Roundtable agreed that skiing, hiking, tourism, the environment, history, culture, transportation, etc., etc., were all important and should be taken into account when Parks Canada made any decision. And a "list" is of no value to park managers. When they have to decide whether to close a popular hiking trail, in order to protect a wolf den, it is of no use to them to know only that both wolves and hiking are important to citizens. They need to know whether wolves are more, or less, important than hiking. But public participation processes provide virtually no information about those weightings. My contributions to this blogsite will track my long, often lonely, search for the answer to this question, a question that I subsume under the general heading of “environmental decision-making.” My trek leads through topics as varied as eco-labeling, eco-tourism, consensus-building, contingent valuation, enviro-capitalism, environmental impact assessments, and negotiated rulemaking. I will also deviate off into issues such as the question of whether parks are the best method of protecting the landscape, the determination of the appropriate form of scientific methodology to be employed in environmental research, and the analysis of games of bargaining. George Oliver, Chief Executive of GE’s water and process technologies business, says “As water scarcity increases, the cost of water increases. The desalination and reuse [of] water becomes a very attractive economic solution." The cost of a depletable resource increases as the stock is depleted for two reasons: 1) Extraction costs increase, and 2) The value of the resource left in the ground.increases. The first cost makes sense, it is easy to pick the low hanging fruit but more expensive to harvest the difficult to reach fruit. The second cost is more subtle, but just as important. To understand why the value of the resource left in the ground must increase, think of the stock of a depletable resource as a giant savings account. When will you draw down the savings? When the value of that resource left in the ground is less than the value of the money you could receive for that resource if it were extracted. For each unit of the resource left in the ground the owner has two choices, leave the resource there and let it’s value grow, or extract the resource, sell it and invest the money elsewhere. In addition to being able to recover the ever increasing cost of extracting the resource, the value of the resource left in the ground has to increase at least at the rate of interest that could be earned on the alternative investment. Whether it’s because it costs more to extract, or because it costs more to leave it in the ground (or both), the price of a depletable resource will increase over time (Unless new stocks of the resource are discovered in which case the price will drop temporarily, see John Whitehead’s post on this). As the price increases, substitute technologies become more economically attractive. Government policies may be able to influence the rate at which these alternative technologies become economically attractive (by subsidizing development of alternative technologies, or taxing the use of existing technologies), but government policies may also be able stretch out the time it takes to make these technologies economically attractive (price controls on the depletable resource for example). If economic models are right, market forces will inevitably cause the price of depletable resources to rise. Government policies can only speed up or slow down this process. As [oil] scarcity increases, the cost of [oil] increases. [Alternative energy technologies] become a very attractive economic solution. Will price adjustments caused by rational economic behavior lead companies to invest more in alternative energy technologies when they become an ‘attractive economic solution?’ It looks like it’s working for water. Commentary, The Art of 'Manufacturing Uncertainty', By David Michaels, Los Angeles Times, June 24, 2005: To many scientists and policymakers in Washington, the revelation this month that Philip Cooney, chief of staff for the White House Council on Environmental Quality, had rewritten a federal report to magnify the level of uncertainty on climate change came as no surprise. Uncertainty is easily manipulated, and Cooney — a former lobbyist with the American Petroleum Institute, one of the nation's leading manufacturers of scientific uncertainty — was highly familiar with its uses. As an epidemiologist … I … must harness "natural experiments," collecting data through observation only … build models from this data, and use these models to make causal inferences and predictions, and, where possible, to recommend protective measures. By definition, uncertainties abound in our work; there's nothing to be done about that. Our public health and environmental protection programs will not be effective if absolute proof is required before we act. The best available evidence must be sufficient. … Of course, this is often exactly what industry wants … it has mastered the art of manufacturing uncertainty, of demanding often impossible proof over common-sense precaution in the realm of public health. The tobacco industry led the way. ... An official at Brown & Williamson, a cigarette maker now owned by R.J. Reynolds, once noted in a memo: "Doubt is our product since it is the best means of competing with the 'body of fact' that exists in the mind of the general public." Toward that end, the tobacco manufacturers dissected every study, highlighted every question, magnified every flaw, cast every possible doubt every possible time. They also conjured their own studies with questionable data and foregone conclusions. It was all a charade, of course, because the real science was inexorable. But the uncertainty campaign was effective; it delayed public health protections, and compensation for tobacco's victims, for decades. The tobacco industry, left without a stitch of credibility or public esteem, has finally abandoned that strategy — but it led the way for others. Every polluter and manufacturer of toxic chemicals understands that by fostering a debate on uncertainties in the underlying science and by harping on the need for more research — always more research — it can avoid debating the actual policy or regulation in question. It is now unusual for the science behind a public health or environmental regulation not to be challenged. … Among themselves, these product-defense lobbyists and their clients make no secret of what they're doing. Republican political consultant Frank Luntz wrote in a memo, later leaked to the press: "The scientific debate remains open…. Should the public come to believe that the scientific issues are settled, their views about global warming will change accordingly." Decades from now, this campaign to manufacture uncertainty will surely be viewed with the same dismay and outrage with which we now look back on the deceits perpetrated by the tobacco industry. But will it be too late? We are happy to announce that reprints from Rob Stavins' column in The Environmental Forum® will appear on the Environmental Economics blog. the University of Texas, and I posed the following question in an article in Nature: how do economists really think about the environment? In this and succeeding columns, I’m going to answer this question, by examining — in turn — several of the most prevalent myths. Look for these columns every month or two. Thanks Rob!